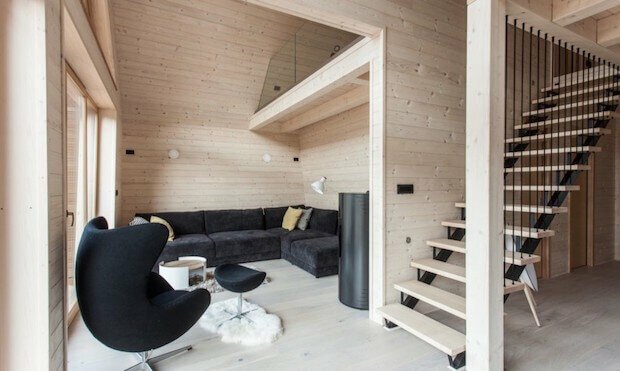 Local Slovenian Firm Pikaplus constructed this gorgeous 82 square meter residential property called the Wooden House. 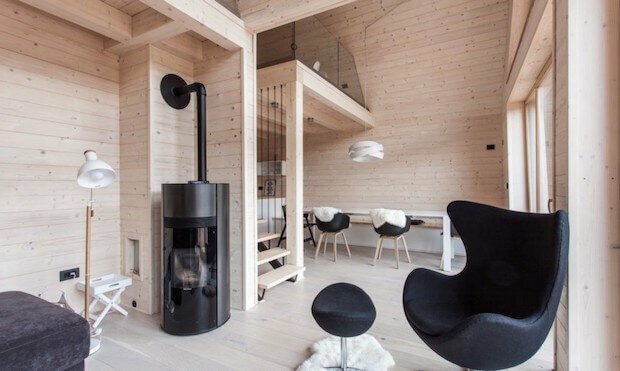 The light and airy interiors allows its dwellers to be one with nature. Notice that the house’s strategic positioning by a large forest clearing provides a view of the untouched beauty of nature in the surrounding area. The open-plan model is enhanced by the glass facade that allows natural light in. 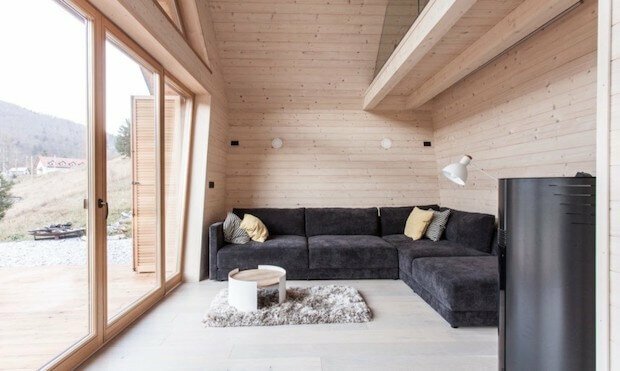 The untreated timber interiors beautifully matches the view from the outside. Also, the minimalist design allow for a spacious and uncluttered living space. 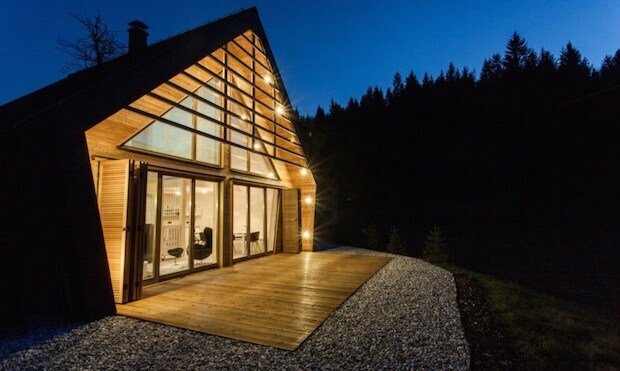 It makes for an absolutely perfect home for people who want to escape the chaotic city life. 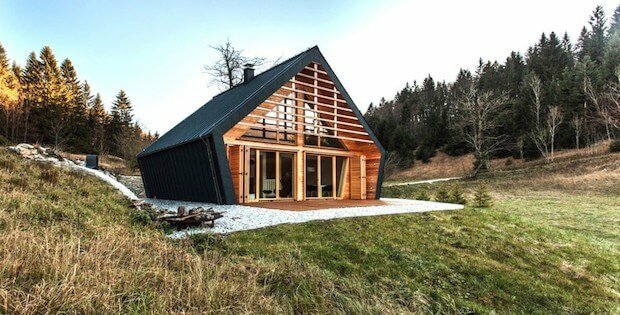 Awarded 1st place nationally in 2016 for the best wooden construction in Slovenia, The Wooden House is a residential building embodying the elusive architectural quality of blurring the line between external and internal spaces. 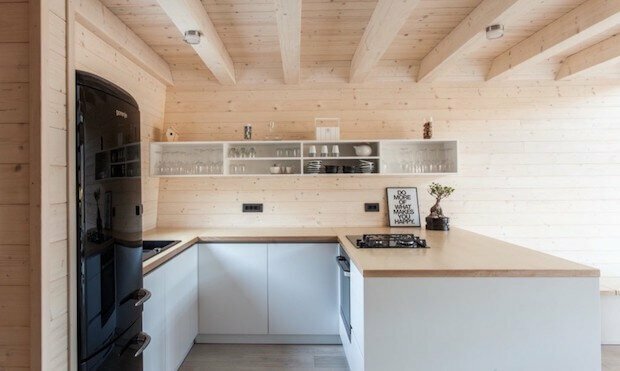 The Wooden House was designed with the intent to provide a resilient shelter from adverse weather, whilst creating the internal environment replicating the sensation of being outdoors. 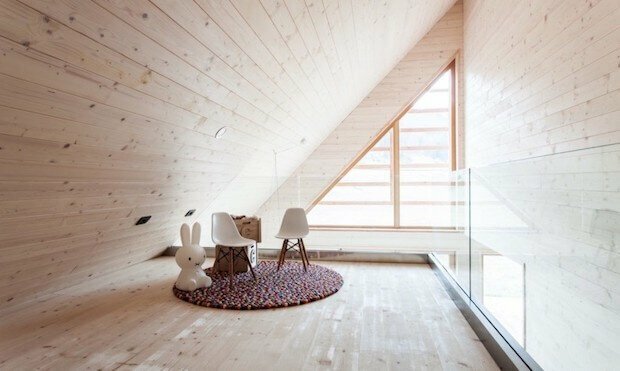 Soft wooden interiors are shielded by a durable outer shell. ….MORE PHOTOS AND FLOOR PLANS ON THE NEXT PAGE…. [FOR SALE] Two Neighboring Properties for Under $200k!